1 thing i will say first with the use of gh i have had crazy salt buildups, and after mixing always a type of sediment at the bottom of the res. 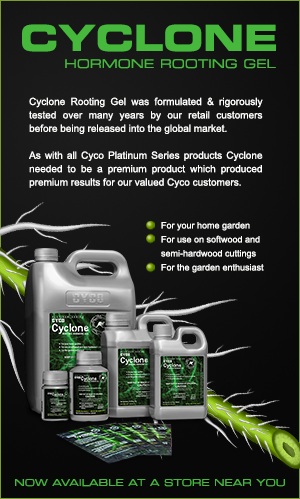 This could be from inexperience to not mixing it properly despite that i have chosen to go with cyco. I am going to be running a 2 pot deep water culture system with a chiller. I will be following the feeding schedule for each so i know what weeks to use what. My question is when i do mix according to the calculator you provide i almost have to double the nutrient input to achieve the p.p.m listed for week 1 why do you think this is? Also when i go into bloom do you think me taking silica out of there feeding schedule will have some effect? Im new and still learning, very interested in the best method to mix these parts of nutrients as i have heard it is very easy to get lockout. 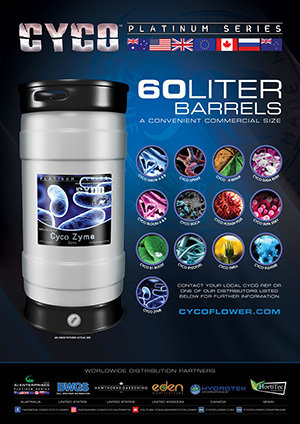 First off welcome and thank you for supporting the Cyco Nutrients line! If you were looking for a nutrient with significantly less, you came to the right place. We chelate much differently than traditional nutrients , instead of using salts and acids, we chelate with amino proteins , which in turn gives our products 40% less salt than most other nutrients on the market. This makes it very hard to over feed and create nutrient lockout with our products. Also just to be clear are you multiplying your dosage by 4 , as the chart reads in liters not by gallons. For example , if the chart says 2ml per liter that would be 8mls Per gal. I believe that may be your issue. Please let us know! Removing Silica from bloom wont hurt your plants, but definitely will aid in the bloom process , making your stalks thicker, also strengthens the cell walls, which in turn will support your growing buds during your bloom cycle. I hope I was able to help answer your questions. Please let us know if you need any additional info, as we are all here to help! Have a great day ! I also have a DWC feeding chart I will email you as well! i go by liters so that's not an issue, and the water i mix with is around 45ppm so its a bit odd. also does the Flower PGR A+B replace bloom A+B? or does it work along side it?